The Dead2Red Cycling Race starts on the shores of the Dead Sea from Ghor al Safi and completes a distance of 200km ending at the Ayla Oasis Resort on the shores of the Red Sea. Since the Dead Sea, the lowest point on earth, is around 415 meters below sea level, the entire race is a gradual ascent to sea level. The Dead2Red Cycling Race has become one of the most popular cycling races in the country, luring both professional federation cyclists and amateurs alike. Cyclists can participate in this event as solo cyclists of in teams of 3 or 5 and must complete the distance in 10 hours. This is a fun, challenging and exciting event. We rely on the honesty of each individual/team to participate within the rules of this event. The event is not restricted, and is open to all nationalities, ages, genders and fitness levels. The youngest participant each year is usually a teenager and the oldest is over 60! From weekend cyclists to professionals, the Dead2Red Cycling Race unites people of all backgrounds and nationalities under one goal – to cross that finish line! Each participant (whether cyclists or accompanying people) must sign an individual waiver form. We will not accept more than one participant per form. Any participant under the age of 18 years must have the waiver signed by a legal guardian and accompanied by a photocopy of official identification of the legal guardian. You should submit the completed Waiver Form with your participation fees. You will not be officially registered if you do not submit your waiver form. The Ayla Dead2Red Cycling Race Finish Line is located inside the Ayla Oasis Resort. The final few kilometers of this race will be held within the resort. 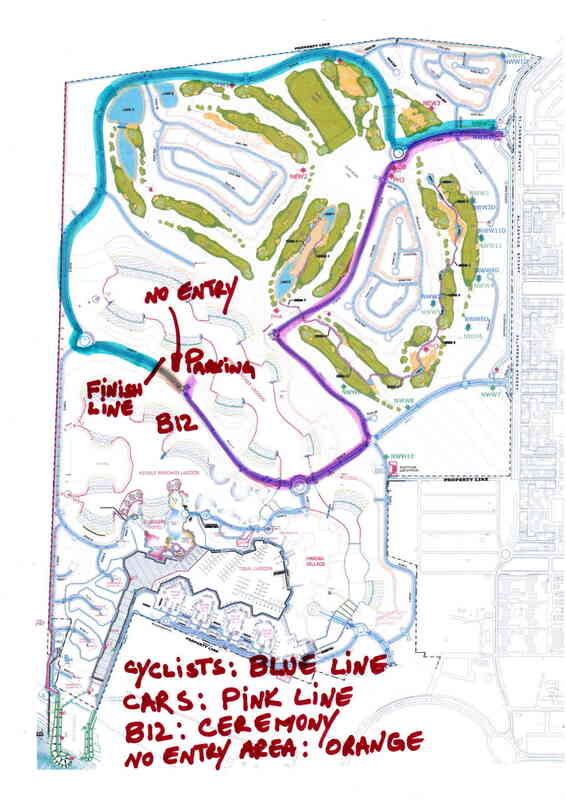 Support vehicles will be directed to the designated parking area upon their entrance to the resort and therefore will not be able to drive with their cyclists for the final loop within the Resort. For teams, this means that there is no possibility of changing cyclists during this final stage. Please keep this in mind as you near the Ayla Oasis Resort and assign your cyclists accordingly. More than one cyclist in a team may complete the final loop together. Due to the nature of this type of event, we must highly recommend that you/your team members have your doctor’s permission to participate. Adventure races, such as ours on open roadways have inherent hazards that you/your team members must be aware of and prepared for. It is highly recommended to you/your team members to also have current insurance which covers you and others in case of any personal accidents. If you decide against taking our advice, please be aware that the required signed Waiver absolves Amman Road Runners and Dead2Red Committee and all race officials from any and all accidents and claims. The Dead2Red Committee does all that it can to prevent and deter cheating at this fun event. However, we cannot possibly fully monitor all race participants at all times. Therefore, if you witness any cheating we suggest that you videotape the cheaters in action and submit it to the Committee immediately following the end of the race. The Committee will review any submitted video evidence and determine whether cheating has truly occurred. If the Committee determines that a participant/team has cheated, they will be disqualified from the race and those individuals will be banned from participating in all future Amman Road Runners events. This is a fun race based on the honor system. We depend on your honesty and integrity throughout the race and we expect you to try your very best to finish the 200km race distance within the allowed time of 10 hours. Bicycles used during this event must be SOLELY propelled by the rider’s legs. No wheel may contain special mechanisms to store or release energy. Any solo cyclist or team member caught cheating in any manner will be disqualified immediately and cause his/her entire team to be disqualified. 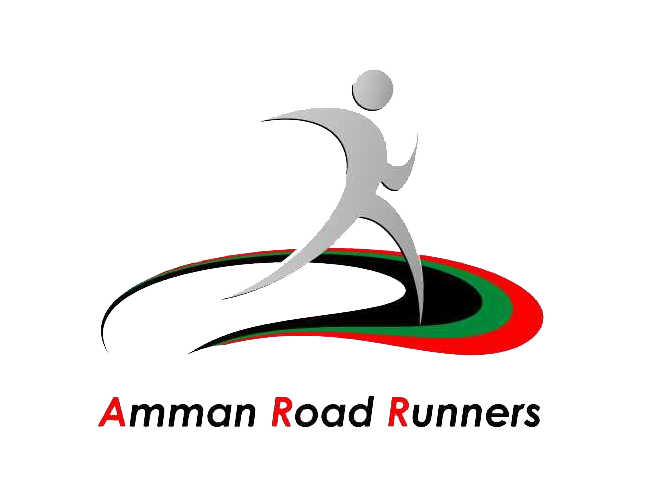 Furthermore, any solo cyclist as well as all team members will be banned from participating in all future Amman Road Runners events. PLEASE NOTE THAT FOR YOUR SAFETY, HANGING ONTO VEHICLES FOR A PULL IS ABSOLUTELY PROHIBITED. Any cyclist caught hanging on a vehicle will be disqualified and cause his/her entire team to be disqualified immediately. Safety is our main concern during this challenging event, and weather conditions are one of the factors that we cannot control and might affect the overall safety of our participants. As the date of the event approaches, the Committee will keep a close eye on the weather conditions along the race route. The Committee will then decide whether there is a need to postpone or cancel the event. In case of a canceled or postponed event due to inclement weather, please see the Refund Policy. Should you choose to withdraw up to three weeks prior to the event start date a 100% refund of participation fees will be granted. Should you choose to withdraw from the event between three weeks to one week prior to the event start date a 50% refund of participation fees will be granted. Should you choose to withdraw from the event less than one week from event start date no refund will be granted. If the race is cancelled by the Committee due to force majeure (such as war, natural disasters, political unrest, severe weather, or other unforeseen and uncontrollable factors) no refund of participation fees will be granted. However, participation fees can be used as a credit towards future Amman Road Runners events occurring within one year. Requests for credit must be received within one month from event cancellation. The credit can be issued in your name or in the name of someone you designate. HELMETS ARE MANDATORY. Any cyclist caught not wearing a helmet, whether he/she is warming up or actually racing, will be disqualified and cause his/her team to be disqualified immediately. Race Bracelets and Official Bib Numbers will be given out at the Start Line Final Check-In. Please note that the Bib must be pinned to the BACK of the cyclist’s shirt. If the cyclist chooses to change shirts during the race, he/she is responsible to move the Bib number to the back of the new shirt. Any cyclist caught not wearing the Race Bracelet and/or Official Bib Number will be disqualified and cause his/her team to be disqualified immediately. 1. Reflective and high-visibility colors are highly recommended. Safety Reflective Vests are not required during this race, but we highly recommend the use of reflective items or high-visibility colors on your person and/or bicycle. 2. Drivers are expected to abide by all local driving laws. No passengers should ride in the trunk of the car or in the beds of pickup trucks, hanging out of windows, van doors and sunroofs is forbidden. Drivers are asked to drive with care at all times. 3. The consumption of alcohol is totally forbidden along the race route. This includes drivers, participants, and accompanying persons. Anyone caught consuming alcohol during the race will cause the entire team to be disqualified. You must use the number/sticker provided and fix it on your bicycle in an obvious manner. Any cyclist caught without an official number will be disqualified and cause his/her team to be disqualified immediately. For most vehicles: One on the right (passenger) side of the front windshield, one on the left (driver) side of the rear window, one on the right rear (backseat) side window and one on the left rear (backseat) side window. For Single Cabin Pickups: One on the right (passenger) side of the front windshield, one on each side of the rear window (left and right), and one on the tailgate. For Double Cabin Pickups: One on the right (passenger) side of the front windshield, one on the left (driver) side of the rear window, one on the right rear (backseat) side window and one on the left rear (backseat) side window. If the vehicle has tinted windows, please place the car stickers on the OUTSIDE of the vehicle. Failing to place the stickers as directed above will cause your team to be disqualified. Drafting among cyclists registered in the AYLA Dead2Red Cycling Race is allowed, however, drafting behind vehicles is totally prohibited. Drafting behind cyclists who are not officially registered in the AYLA Dead2Red Cycling Race or behind cyclists who have dropped out of or have been disqualified from the race is strictly prohibited. Please be sure to remain in the lane of travel at all times. You may not use the oncoming/opposite lane on the road. You must stay in one lane only which is the lane in your direction of travel. Anyone caught drafting behind vehicles, drafting behind cyclists not officially and actively registered in the race, or using the opposite lane will be disqualified and cause his/her entire team to be disqualified immediately. Should you or a member of your team choose to withdraw from the race at any time, you must immediately notify a marshal. Your timing chip will be canceled and you will not be allowed to cycle on the race route after that point. Below are relevant documents pertaining to the Ayla Dead2Red Cycling Race. Please be kind to the environment and consider using electronic versions of the documents where possible.